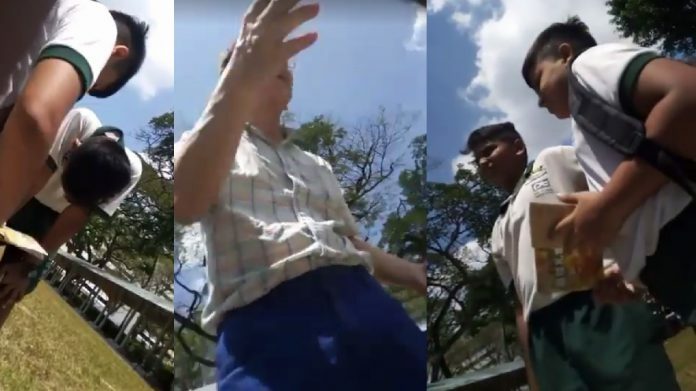 In the video, the Christian - a Chinese man - appears to be giving Christian tracts to the students as he tells them about how Jesus Christ died for the sins of mankind. A video of a Christian preaching the gospel to a group of Muslim students is going viral on social media, with over 84,000 views so far. According to Facebook user Zilsham Sam Yp, the incident took place on Friday (15 Mar) at Clementi Avenue 5. In the video, the Christian – a Chinese man – appears to be giving Christian tracts to the students as he tells them about how Jesus Christ died for the sins of mankind. The students can be heard asking the man why Jesus had to die and why he could not just forgive the sinners and the man responds that Jesus had to sacrifice his life because the consequences of sin is death. The man then leads the students to recite a prayer, seeking salvation. One boy recites the entire prayer with the man, before the man prays for the young student. The majority of netizens commenting on Zilsham’s post agreed and criticised the Christian man for “trying to convert” the schoolchildren. Waspada! Misionari kristien sedang berdakwah kepada anak anak melayu Islam di Singapura. Kejadian tengah hari tadi 15/3/19 di Clementi Ave 5. Mudah mudahan Aqidah anak anak kita kuat dan terpelihara dari rayuan mereka.